Continuous Rake, Band, Perforated Plate, and Drum Fine Screens, Screening Washing Equipment. 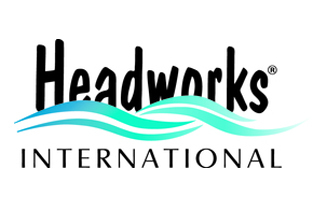 Headworks BIO is a global leader in the design, installation, and enhancement of municipal wastewater treatment systems using MBBR processes. Many existing municipal wastewater facilities are based on conventional activated sludge. The majority of these activated sludge facilities will not be able to address future, more stringent regulations or anticipated flow and load increases, without new construction. The economic solution to performance enhancement at these facilities, without any required construction, is achieved by integrating Moving Bed Biofilm Reactor (MBBR) technology. Read more about plant enhancements & upgrades and modular mobile systems. MBBR/IFAS processes employ the same proven biofilm carrier technology employed in all MBBR systems but within a conventional activated sludge process. This combination, commonly known as integrated fixed film activated sludge (IFAS) maintains a higher mixed-liquor suspended solids (MLSS) than single-pass MBBR processes – ideal for upgrading and enhancing municipal wastewater treatment facilities. The result is a hybrid process of activated sludge and biofilm carrier technology, achieving biodegradation performance unequalled by similarly sized conventional activated sludge systems. MBBR/IFAS processes enable existing municipal wastewater treatment facilities to achieve Nitrification or Total Nitrogen Removal without facility expansion, additional land use or associated land acquisition costs. MBBR/IFAS biofilm carrier processes achieve high-rate biodegradation of organic matter within a compact, economically operated system. The process consists of thousands of mobile biofilm carriers, each establishing a high-density population of bacteria within the treatment system; this bacteria naturally removes target wastewater constituents such as ammonia and nitrogen, reliably biodegrading target constituents from process wastewater streams prior to discharge. For lower flow applications typical of decentralized wastewater systems, the ActiveCell process enables economic treatment in a compact design providing excellent land-use efficiency, and is equipped for automated operation, requiring only minimal operator attention.